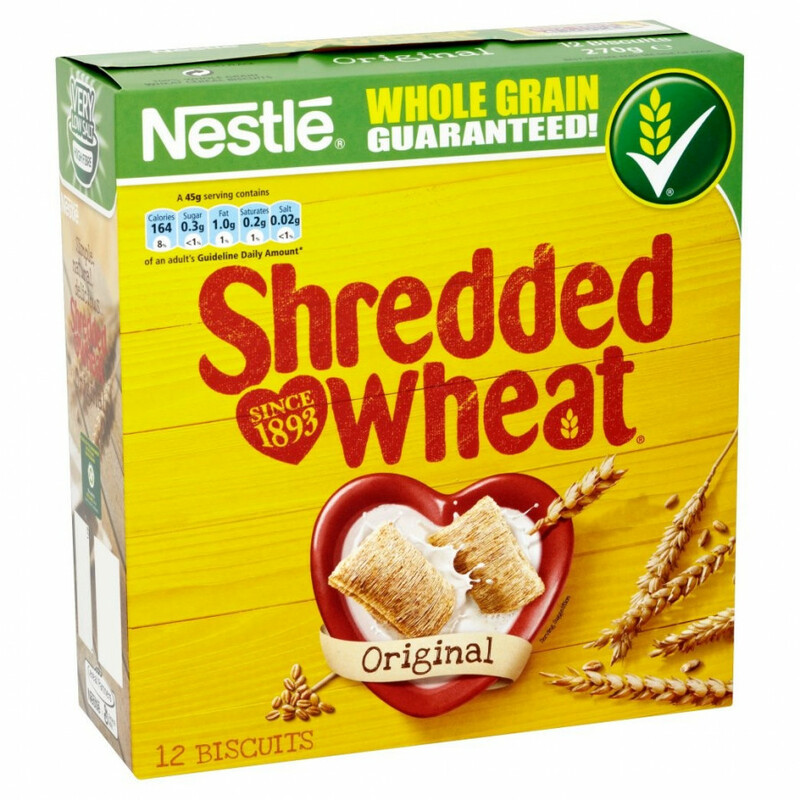 These Shredded wheat cereals are the ideal breakfast to kick-start your day! Why not enjoy your breakfast with these delicious 100% wholegrain Shredded wheat cereals and some extras? Just add fresh strawberries, rasberries or blueberries in your bowl! Or top with a layer of yogurt, mango chunks or a honey drizzle. Kick-start your day with Shredded Wheat! Nestlé breakfast cereal brands are produced in the United Kingdom by Cereal Partners, one of the first cereals manufacturers of the United Kingdom. The objective of Nestlé is to provide high quality, delicious wholesome cereals. Cereal Partners established itself as the second manufacturer of the United Kingdom, with more than 25% of a market worth more than 1.3 billion Sterling pounds. The company owns many brands coveted by the British, like Shredded Wheat, which has been commercialised for more than a hundred years. Ingredients: whole grain wheat (100%). Allergy advice: see ingredients in bold. Manufactured in a facility that processes nuts.